The culmination of proprietary networking capabilities with the industry's most comprehensive construction management system, UDA ConstructionSuite multi-user versions maximize your team's productivity, increasing profits and decreasing costly miscommunication. In the new ConstructionSuite, data is stored dynamically within a SQL database instead of the Windows file system, enabling your entire team to benefit from rapid file access, faster synchronizations, and greater security for your most vital construction management information. With advanced networking technology, everyone in your company can collaborate with a universal set of project management tools through a centralized database system. Give your team members the power to create, access, and modify any aspect of the ConstructionSuite system, including Estimates, Schedules, Documents, Contacts, Projects, and more. Powered by one of the most robust platforms for storing, managing, and integrating data across multiple applications, the ConstructionSuite system delivers unmatched scalability - enabling small and large corporations alike to grow in size and information management needs without having to change database solutions. Proprietary database technology provides faster and easier updates, greater stability in high-demand situations, and a stronger ability to propagate data across the network. Check In/Check Out utility ensures that files are managed appropriately throughout your company and helps prevent data loss that could result from simultaneous file editing. Comprehensive system backups protect your company's most vital data. Advanced Project/Contact Logging tracks users' actions, so you'll know which tasks have been completed. ProjectSync makes it easy to take ConstructionSuite into the field with advanced synchronization options between licensed computers. With flexible networking architecture, you don't have to have a dedicated server to benefit from a shared master database. Proprietary networking technology makes it easy for multiple users to share information through a peer-to-peer workgroup, dedicated Windows server, wireless network, remote desktop technology, or virtual private network (VPN). In the Office. On the Go. ConstructionSuite also makes it easy to work in the office or on the go - without being tied to the company network. 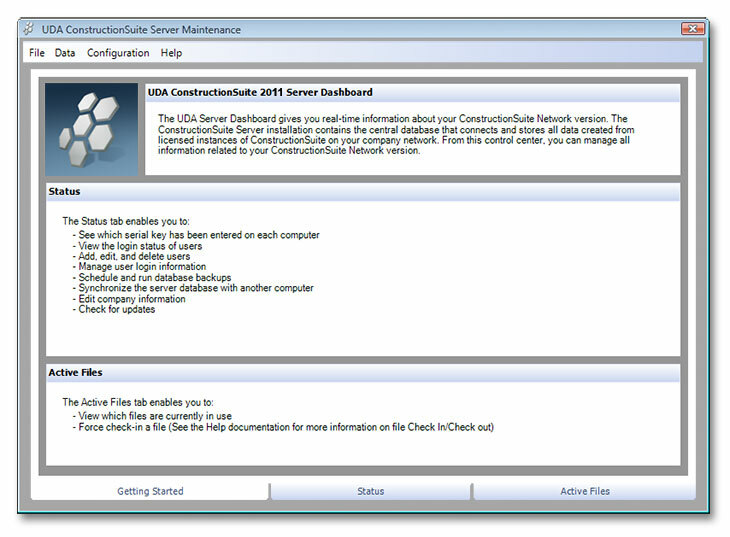 Each licensed computer comes equipped with its own database, so you can employ UDA ProjectSync to use the power of ConstructionSuite on a laptop or tablet PC and benefit from full functionality in the field. With the purchase of additional licenses, ConstructionSuite Pro and Premier can be networked on up to four computers, and Corporate versions can accommodate up to 25 licenses. 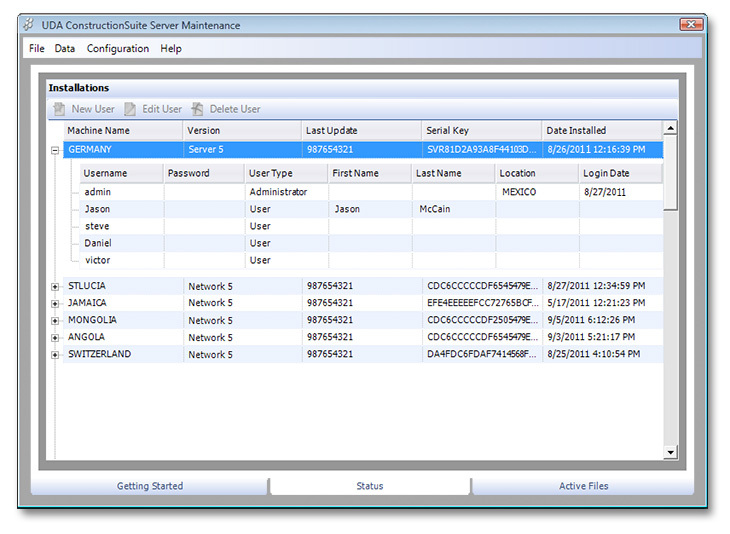 ConstructionSuite Network versions are available in 5, 10, and 25-user packages. 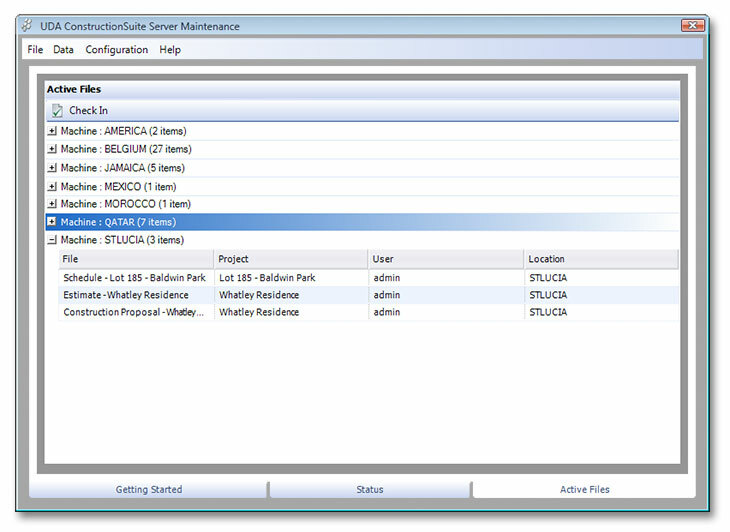 ConstructionSuite Pro and Premier versions can be networked on up to four computers. ConstructionSuite Corporate and Network versions are designed to accommodate up to 25 networked computers.